Never come to the astrologer with the intent to test the astrologer. This is sinful and an appropriate sinful reaction will be gotten by such a samshayatma, doubtful soul. Jataka should be yachaka. The patient tells the doctor, 'I will put the Paracetamol in Coca-Cola and drink.' Now, putting Paracetamol in Coca-Cola will decrease the efficiency of the thing by, say, 20%, okay? But at least 80% Paracetamol is going in the patient's system. So now, if the patient is being so foolish, what can the doctor do? Doctor says, 'All right, okay, okay, do what you want, no problem, do it.' And the mind of the doctor thinks, 'All right, heck, at least the person will get 80% benefit of the Paracetamol.' Even though because of his childish foolishness he is not getting 100%. 'All right, do it, go, what ever makes you happy!' So like that the doctor thinks. And the patient in his infinite folly feels that he's won over the argument but he has caused for, perhaps not his total doom but at least the efficacy of the treatment to drop! This should not be done by the patient. One should be wise. If the doctor prescribes a pill of 100mg which costs 10$ then if you were to start making the bargain, 'Can't you reduce it a bit? The thing costs a lot. My budget is not that much'. This is not a arena to, 'get a good deal'. Then go to the flea market and avoid a medical practitioner's clinic for good. And if you try to emotionally force the matter, saying, 'Oh, 80mg, should be good enough right, please say, yes'. At this point you've taken the role of the doctor and are no longer the doctor's patient. You are now your own doctor. So what will the doctor say? He says yes. But this is your own undoing. This is a totally foolish thing that some of the jatakas do. It is just an emotional thing where they are trying to get a rubber stamp of them saving a few cents. This is the most self-harming thing. If you do that with a regular medical practitioner he will find his knowledge insulted. But this they do shamelessly with the astrologer. Thus I don't get too closely involved with some of my clients, because they will use the element of friendship to do themselves harm. I may be your friend but that by no means changes the dosage to a lower value which fits your budget. This is totally illogical. But Kaliyuga is not known for geniuses. If a remedy in the market costs you a certain amount, say 10000$ and if you start to bargain with the astrologer that is the moment you are no longer the jataka, rather you are taking the role of the astrologer. If a patient has fever and throat ache the doctor prescribes a particular medicine which he read about in his medical books. Even if by some action of the world's economics the pill may cost a million dollars still the prescription will not change. If the doctor changes his prescription he is a cheater and legally prosecutable for medical malpractice. Similarly the Vedic astrologer being an office bearer of the universe's government is liable for prosecution by the law of the universe, the judge being Vivasvan's younger son, Yama himself. If the Vedic remedy to a particular malevolence in the chart is such and such then it is so, no matter how financially impractical it may be or may not be. The bonafide practitioner of Vedic astrologer will give that prescription. Suppose a doctor prescribes a pill, say, paracetemol of 500mg for your ailment. Now if the chemists of the world are cheaters and they sell you a pill which is 400mg of some placebo and only 100mg of paracetemol. It is not the doctor's fault neither it is the medical science's fault. So you will be getting only the effects of a 100mg paracetemol not that of the full pill. This is to be noted. You can't debate over the laws of the universe. Even if you drug Issac Newton and he resigns the debate over the existence of gravity and Oxford's the then chair of the Department of Physics gives you a certificate stating that it has withdrawn it's claim over the existence of gravity, the Newtonian paper being rescinded, still if you were to jump from a mountain, you will die. You believe or not in Philosophiae Naturalis Principia Mathematica, if you organize a mass burning of this text and then climb Bruj Khalifa and jump, don't expect to fly. Laws of the universe can't be over ridden by incredulity. 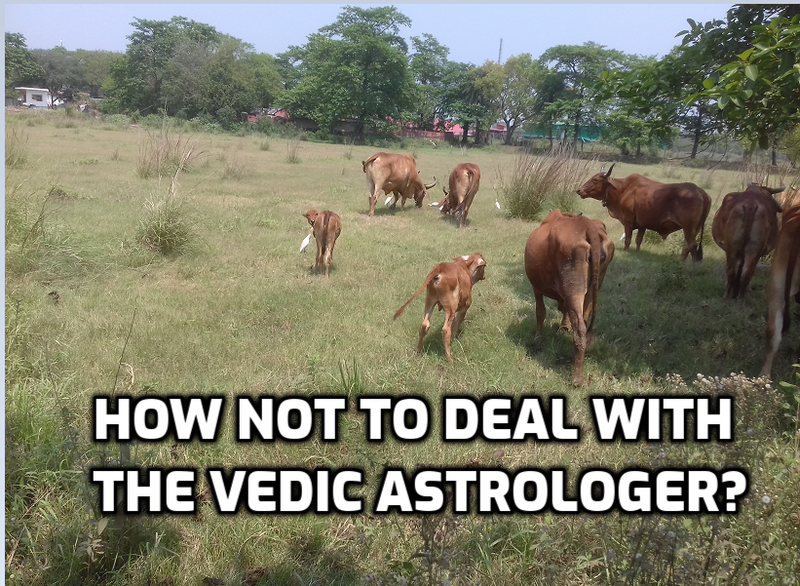 Prabhu, could you please tell me somethings about my chart that cause for my faith to increase in Vedic astrology and astrological remedies? If you ask any self respecting medical practitioner to prove the validity of medical science or medicines he prescribes or surgical techniques he would ask you to leave his clinic. To inspire faith in medical education is not the medical practitioner's problem, it is not even the State's problem. If you don't have faith in the laws of the state that is not the Judge's problem. If you act against the laws the authorities will take action. You can't walk in a court room and declare your disbelief in the State's penal code. The Bench is not obliged to inspire faith in you. It is assumed that you have faith in the State given the fact that you have sworn allegiance. Now this analogy is not totally suiting. The citizens of a State can vote their political representatives and change the penal code it self. This however will not work as far as the laws of the universe are concerned. It is designed by the Creator and your votes don't count to change his mind about the nature of a planet's influence on the chart or the finding of a cheaper remedy for the same.